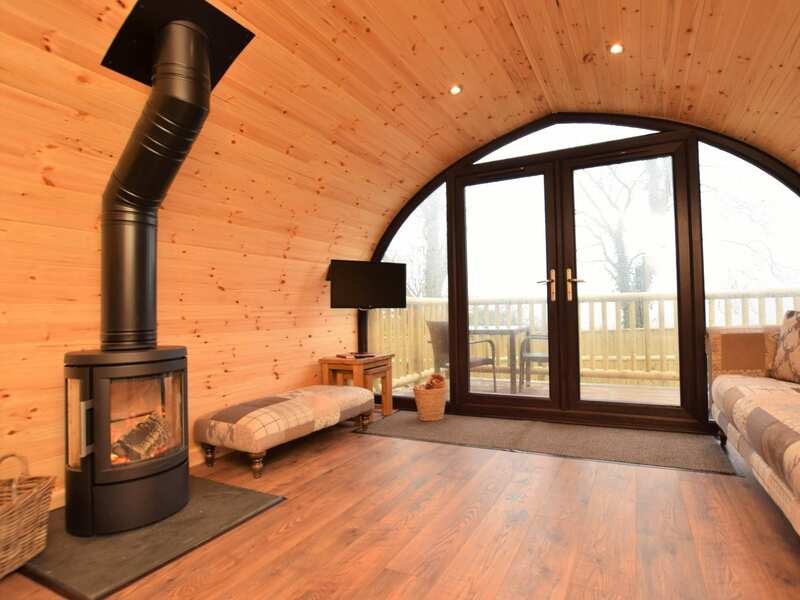 This remarkable single storey pod nestles in a beautiful hilltop position boasting spectacular countryside views. 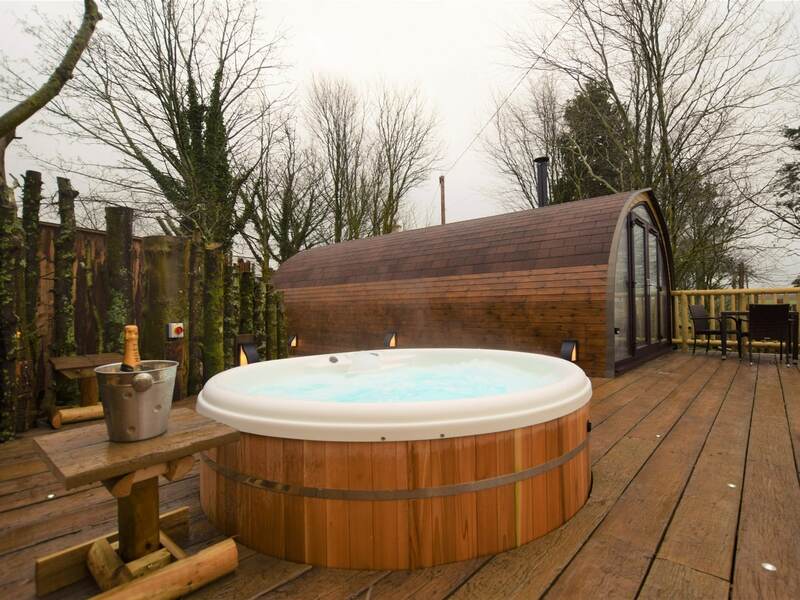 Set within a wooded enclosure within the grounds of a small-holding behind the trees so privacy is assured this unique retreat which offers a private hot tub and wood burner is the perfect getaway whatever time of year it is. 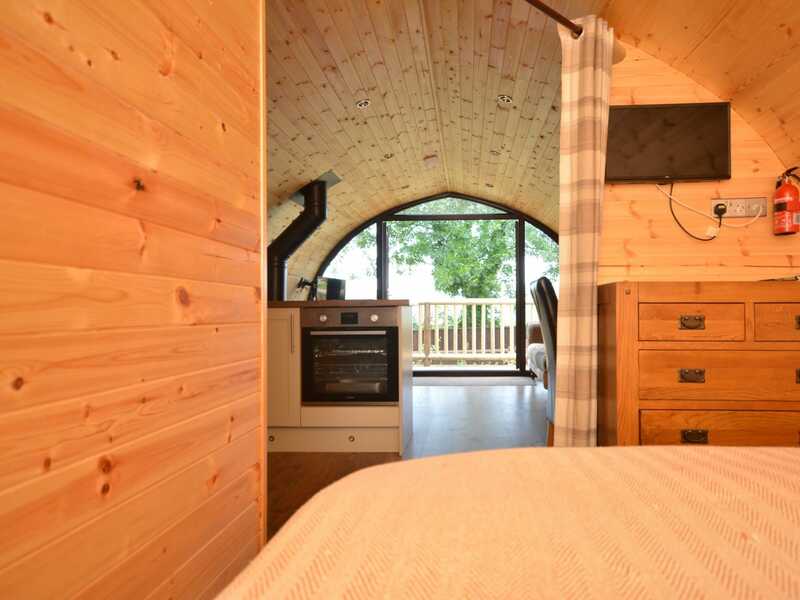 The nearby South Devon Area of Outstanding Natural Beauty offers river estuaries rolling hills and thatched cottages surrounding the lovely old towns of Dartmouth Kingsbridge Salcombe Modbury and Ivybridge. There are many beaches and attractions in the South Hams including Dartmoor National Park Dartmouth Castle Start Point Lighthouse Haldon Forest and The South Devon Railway. 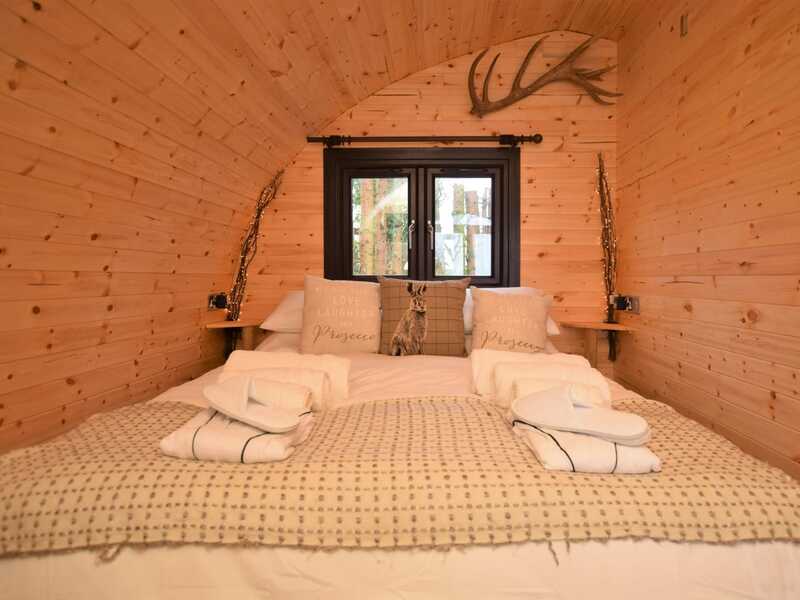 For guests interested in country pursuits the owner can arrange for clay pigeon/rough shooting as well as stalking (arrange direct with the owner at an additional charge). 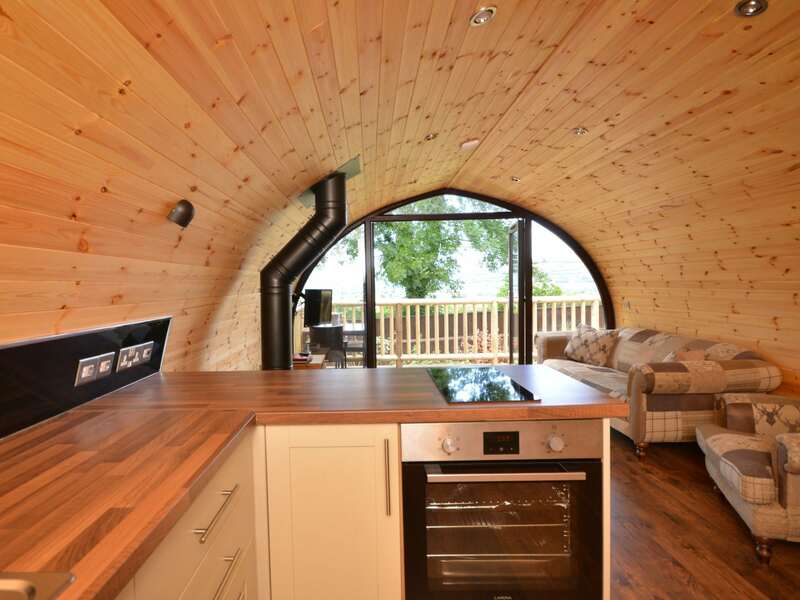 The entrance of this unique stylish pod is the perfect place to leave your walking boots behind you as you step into the beautiful open-plan lounge/kitchen/diner. 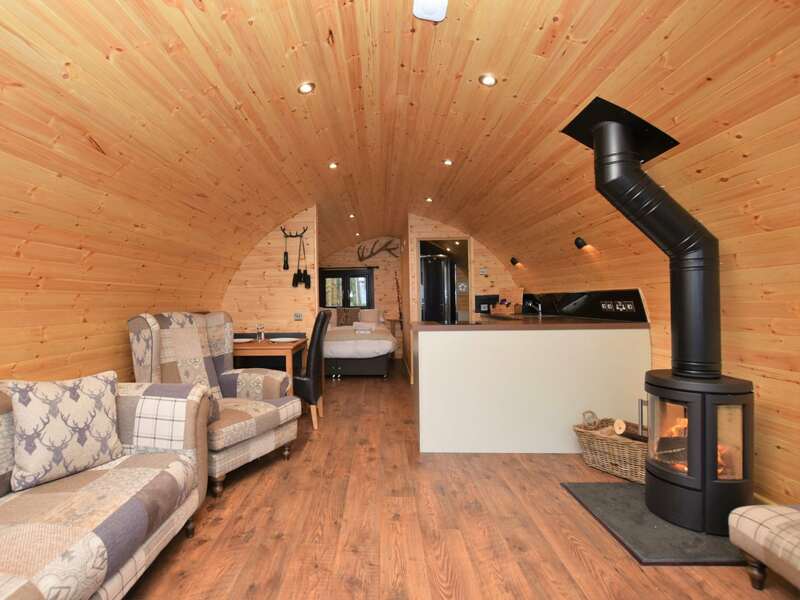 A large woodburner will greet you on arrival and keep you warm on those chillier evenings. The kitchen offers an electric oven and hob microwave and fridge with ice compartment a truly great space for budding cooks. Step into the fantastic open-plan lounge area which has been finished off beautifully allowing you to sit back and relax amongst the rich soft furnishings and watch your favourite programme on the Smart TV. The well-designed bedroom area offers a king-size bed and remarkable views from the comfort of your bed. 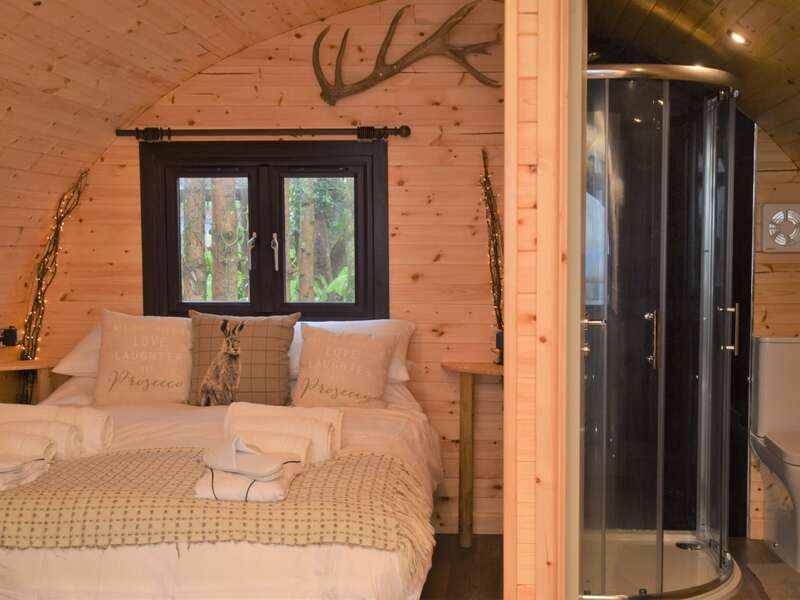 Next door to the bedroom area is the attractively designed shower room with shower and WC. 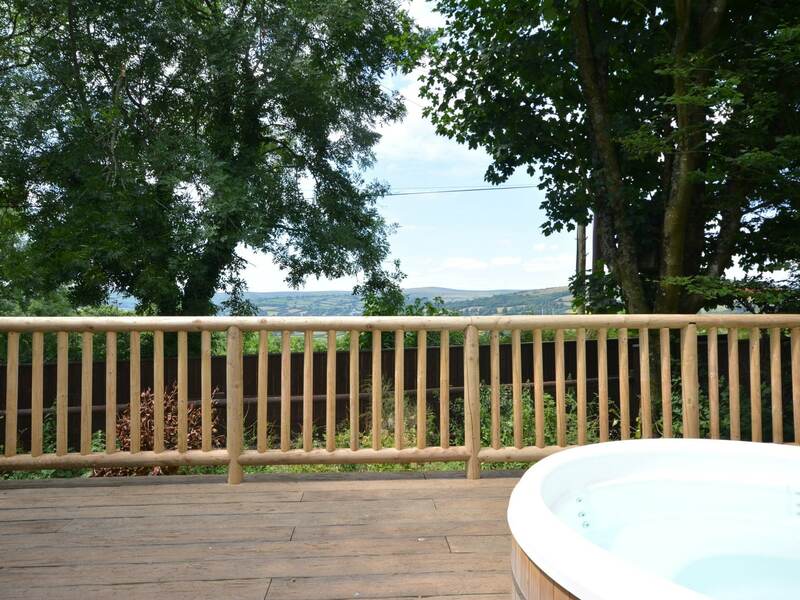 Sit out on your very own balcony and enjoy the delightful countryside views from the comforts of the garden furniture or your very own private hot tub. 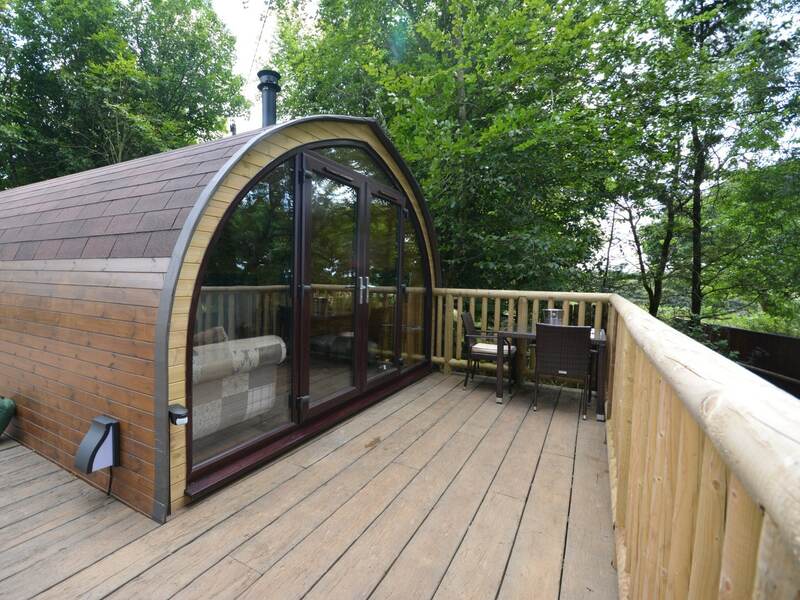 There is a charcoal BBQ you will no doubt find it difficult to leave this relaxed environment. 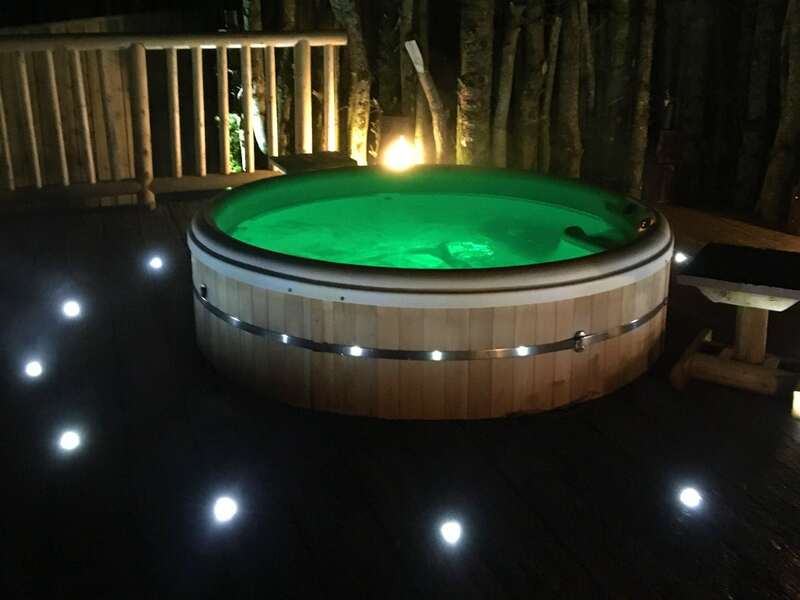 After a day s adventures what could be nicer than stargazing from the hot tub. 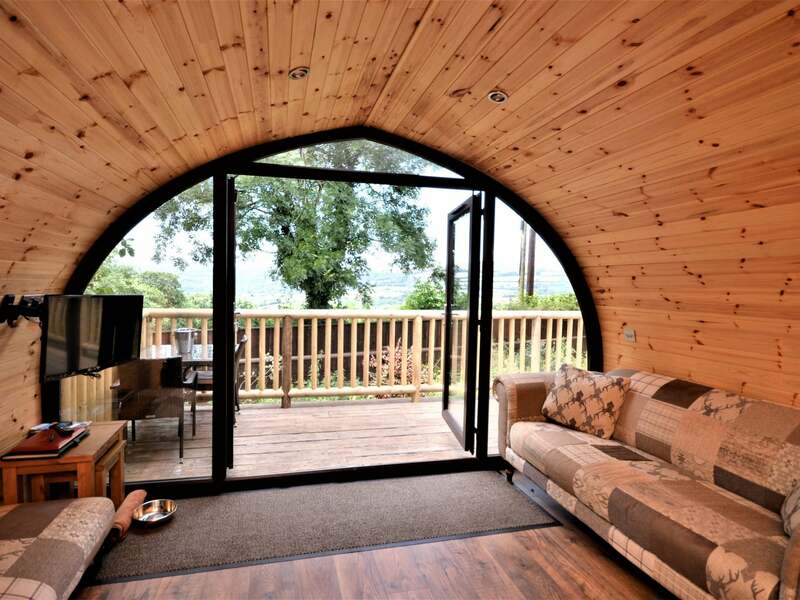 The pod sits within its own fully enclosed grounds ideal for your four legged friend there is also ample off-road parking.